Kneeling at the grave of the Little Flower I gave myself into her hands to guide and to make me a saint. I promised her to make it the rule of my whole life, every day without exception, to seek in all things my greater mortification, to give all and to refuse nothing. I have made this resolution with great confidence because I realise how utterly it is beyond my strength; but I feel the Little Flower will get me grace to keep it perfectly. COMMENT: As can be seen from this quote, Fr Doyle had a great devotion to St Therese, whose feast we celebrate today. This devotion may have been heightened by the fact that they were born in the same year, 1873. It always comes as a shock to see others younger than us who, already having died, are plainly seen to have lived lives of great holiness. It is a reminder to us that holiness is not the preserve of the old or something that we should set our minds to some day in the future. It is the task we are to achieve today, now! Modern piety has tended to greatly distort the image of St Therese, presenting her in a rather sentimental manner. Perhaps her own nickname, as the Little Flower, is partly to blame. The reality is that St Therese was a tough spiritual warrior who faced many problems and sufferings, including a dreadful spiritual blackness. Her Little Way is anything but simple or “little” – her way of abandonment and trust and simplicity and acceptance of daily crosses is open to all, but it takes much effort and holiness to persevere in this, even for one day! There are many similarities between Therese and Fr Doyle, especially when it comes to embracing our daily duties, the life of spiritual childhood and the spirit of mortification. 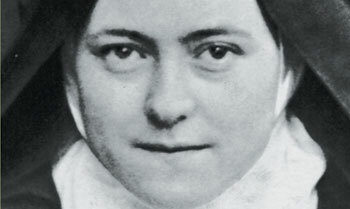 Of course, the sentimental image of St Therese tends to emphasise her simplicity and joy and humility and to ignore her strong spirit of mortification. Here are some quotes from and about Therese and mortification. The aim is not to overemphasise this aspect of her character, for like all the saints, it is only one, albeit essential, dimension of her spiritual life. Rather, the aim is to dispel the awful saccharine image that has been built up around Therese. Above all I endeavoured to practise little hidden acts of virtue; thus I took pleasure in folding the mantles forgotten by the Sisters, and I sought for every possible occasion of helping them. One of God’s gifts was a great attraction towards penance, but I was not permitted to satisfy it; the only mortification allowed me consisted in mortifying my self-love, and this did me far more good than bodily penance would have done. When someone knocks at our door, or when we are rung for, we must practise mortification and refrain from doing even another stitch before answering. I have practised this myself, and I assure you that it is a source of peace. Words such as these, coming from the pen of one who was not unfamiliar with scourge and vigil and fast, are helpful and consoling. Not that they picture the path of holiness as other than the royal road of the cross. Fr. Doyle wished rather to remove the mirage of an unreal and impossible cross from the way of those of us whose true holiness is to be found in meeting the daily and hourly little crosses, humanly inglorious perhaps, but divinely destined for our sanctification. In the lives of canonised saints, and of him whose life we are recording, there are doubtless holy follies and grace-inspired imprudences. But these are not the essence of sanctity; they are its bloom, whereas its stem is self-conquest. Without these there can be great holiness – no terrifying penances marked the life of St. John Berchmans or of that winsome fragile nun who is known as the Little Flower. But without the slow secret mortification of doing ordinary and mostly trivial duties well, there can be no spiritual advance. Heroism is not a sudden romantic achievement; it is the fruit of years of humdrum faithfulness. 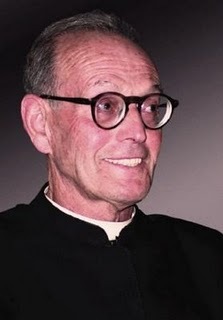 Today is also the 22nd anniversary of the death of the Servant of God Fr Tomás Morales SJ who, as well as being a Jesuit, had a great affection for the Carmelites and for St Therese. Here is a quote from his writings which is relevant for our considerations today. Fight always, even though you don’t feel like it, even though your mood may be different. Remember what St Therese said: “Where would our merit be if we only fought when we felt like it”.